3. The world’s financial system remains on a dollar standard, not a euro, yen, sterling or renminbi standard. Majority of global loans continue to be in dollars. What Connects These Three Key Dots? 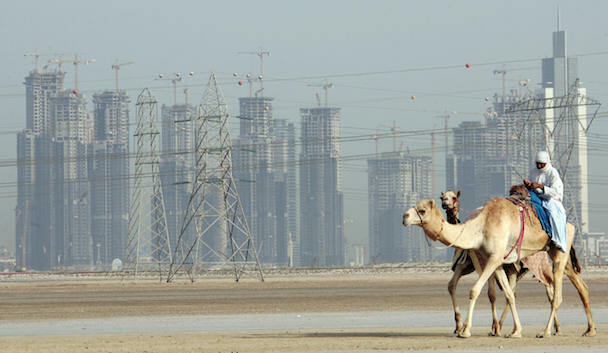 You will have read about the oil price fall, OPEC, shale fracking, oil glut, Saudi Arabia, Iran, Russia, energy supply and demand, geo-strategy and geo-political risk, alongside myriad conspiracy theories. They all may have some truth in them, but they are relative side issues against the major story that ought to be followed and dissected: the explosion of the near $8+ trillion US dollar carry trade. Of that $8+ trillion, $5.7 trillion is emerging market dollar debt, a global reserve currency those countries can neither print nor control. Dollar hard-currency debt of emerging market economies has tripled in a decade, split between $3.1 trillion in bank loans and $2.6 trillion in corporate bonds. In the last two hundred years, very few cross border lending binges equate in size and scale to this dollar denominated debt colossus fuelled by first world quantitative easing on an unprecedented scale and with near Zero Interest Rate Policy (ZIRP). What Is The Carry Trade? It’s the borrowing of a currency of a low interest rate country, such as the US, converting it to a currency in a higher interest rate country and investing it in high yielding assets of that country and elsewhere. The big trading outfits do this with leverage of 100 or 300 to one. This causes important moves in the financial markets, made possible by the trillions of dollars of central bank money creation in recent years. Evaporating Dollar Liquidity? Borrowing US dollars is the equivalent of shorting the US dollar. If the US dollar rallies, as it has done over the last several quarters and months, then that dollar debt becomes more and more expensive to finance on a relative basis around the world. As a result, a US dollar rally is oil negative, commodities negative and most global asset classes negative. Much of the global debt was taken out at real interest rates of 1 percent or less on the implicit assumption that the US Federal Reserve would continue to flood the world with liquidity for years to come. This has now been stopped for the moment as announced by Janet Yellen, the chair of the board of governors of the US Federal Reserve. The Fed has already slashed its bond purchases to zero, withdrawing $85bn of net stimulus each month. It is clearly considering the raising of interest rates for the first time in seven years as the US economy recovers at a formidable pace of nearly four percent GDP growth as measured via the most recent last quarter’s figures. Remember Long Term Capital Management In 1998? Officials at the central bankers’ bank in Basel, Switzerland, the Bank for International Settlements (BIS) say privately that developing countries may be just as vulnerable to a dollar shock as they were in the Fed tightening cycle of the late 1990s, which culminated in Russia’s default, the East Asia Crisis, and the collapse of Long Term Capital Management (LTCM) in 1998. Emerging market currencies could simply melt down. There have been way too many cumulative and speculative capital flows into those markets in the past decade. Nothing they can now do will stop potential outflows, as long as the US economy recovers and the US dollar continues to strengthen on the hopes of rising interest rates and much reduced liquidity. Oil’s collapse is predicated by one major event: the blow out of the US dollar carry trade. Worldwide, there is $8+ trillion in borrowed US dollars that has been ploughed into risky assets which is now being reversed-back into US dollars to repay debts around the world and thereby reduce the dollar denominated interest payments. The difference this time is that emerging markets have grown to be half the world economy. Their aggregate debt levels have reached a record 175 percent of GDP, up 30 percentage points since 2009, according to Ambrose Evans-Pritchard of The Daily Telegraph, also a distinguished member and recipient of the ATCA 5000. What Happens Next In 2015 and Beyond? 2. Slow to negative growth economies that are closely aligned with commodities — all of which are priced in US dollars — are also going to get demolished step by step. Look at recent examples: Russia, Nigeria and Venezuela on the one hand and Brazil, Turkey and Indonesia on the other. 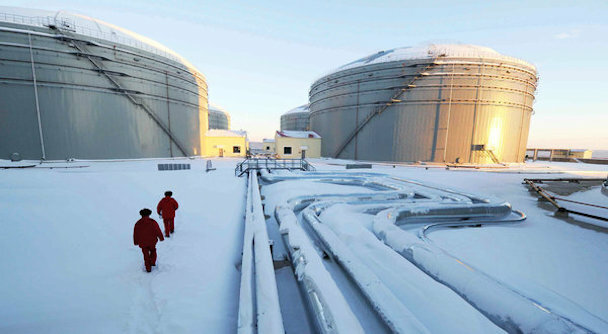 Who Is Behind The Oil War And How Low Will The Price Of Crude Go This Year ? 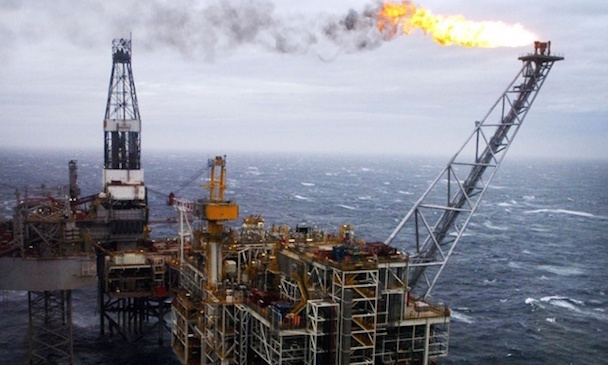 Who is to blame for the staggering collapse of the price of oil? Is it the Saudis? Is it the United States? Are Saudi Arabia and the U.S. government working together to hurt Russia? 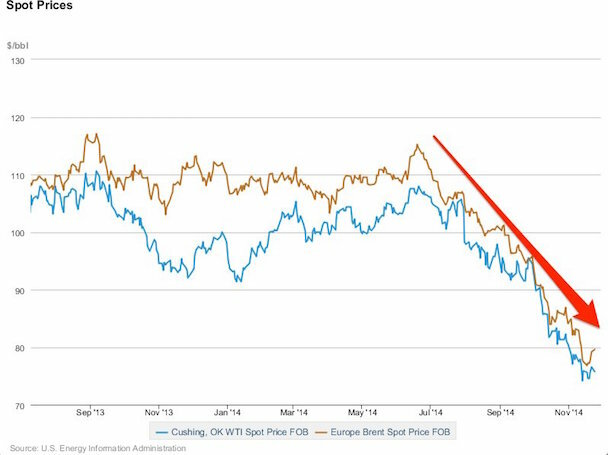 And if this oil war continues, how far will the price of oil end up falling in 2015? As you will see below, some analysts believe that it could ultimately go below 20 dollars a barrel. If we see anything even close to that, the U.S. economy could lose millions of good paying jobs, billions of dollars of energy bonds could default and we could see trillions of dollars of derivatives related to the energy industry implode. We don’t have to look too far back in history to see Saudi Arabia, the world’s largest oil exporter and producer, using the oil price to achieve its foreign policy objectives. In 1973, Egyptian President Anwar Sadat convinced Saudi King Faisal to cut production and raise prices, then to go as far as embargoing oil exports, all with the goal of punishing the United States for supporting Israel against the Arab states. It worked. 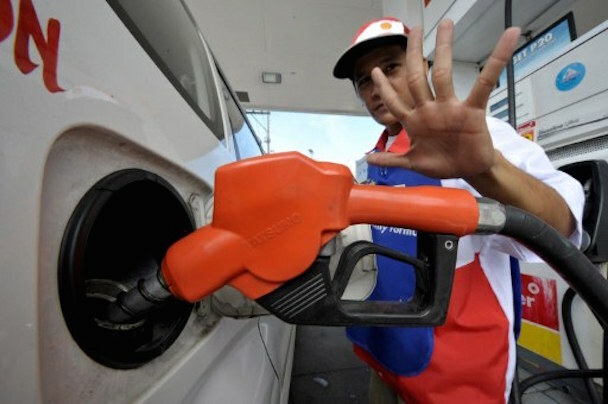 The “oil price shock” quadrupled prices. It happened again in 1986, when Saudi Arabia-led OPEC allowed prices to drop precipitously, and then in 1990, when the Saudis sent prices plummeting as a way of taking out Russia, which was seen as a threat to their oil supremacy. In 1998, they succeeded. 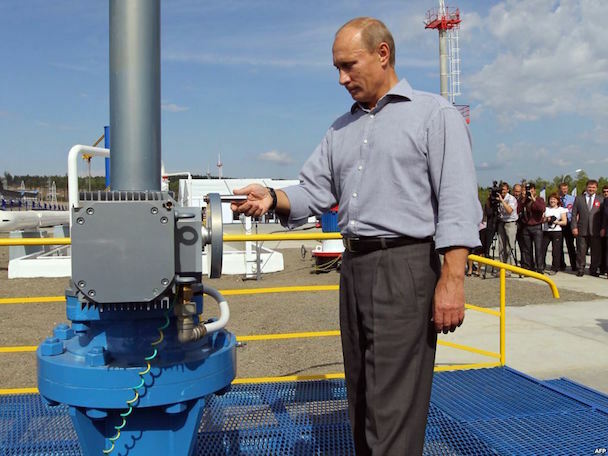 When the oil price was halved from $25 to $12, Russia defaulted on its debt. The Saudis and other OPEC members have, of course, used the oil price for the obverse effect, that is, suppressing production to keep prices artificially high and member states swimming in “petrodollars”. 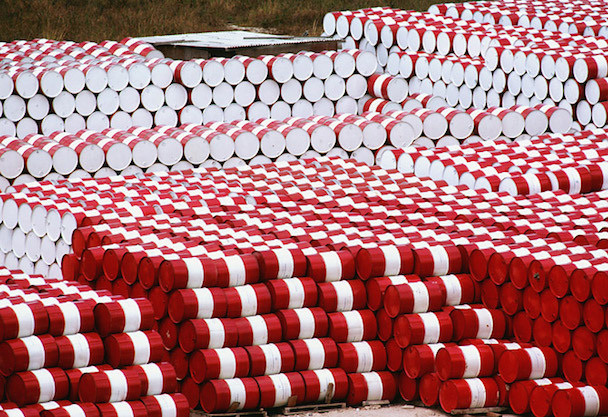 In 2008, oil peaked at $147 a barrel. Turning to the current price drop, the Saudis and OPEC have a vested interest in taking out higher-cost competitors, such as US shale oil producers, who will certainly be hurt by the lower price. 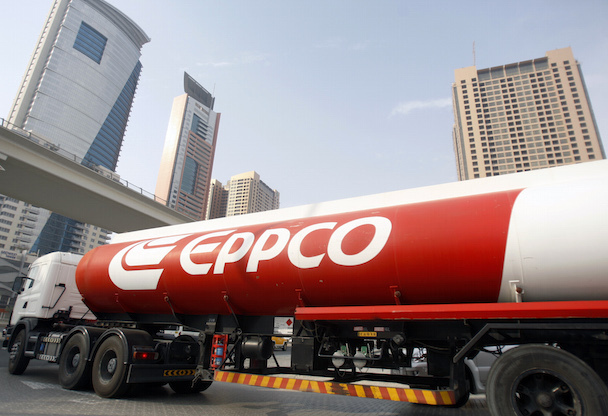 Even before the price drop, the Saudis were selling their oil to China at a discount. OPEC’s refusal on Nov. 27 to cut production seemed like the baldest evidence yet that the oil price drop was really an oil price war between Saudi Arabia and the US. 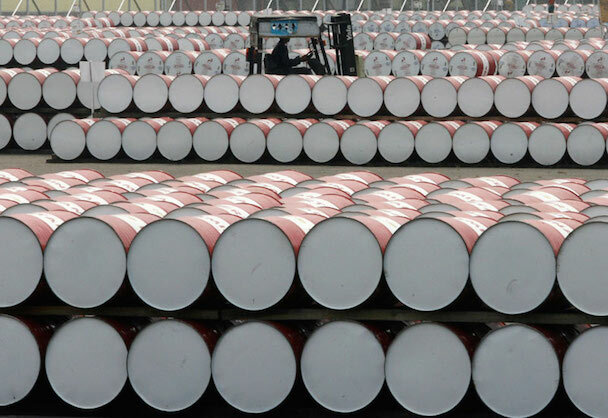 If the Saudis wanted to stabilize the price of oil, they could do that immediately by announcing a production cutback. The fact that they have chosen not to do this says volumes. 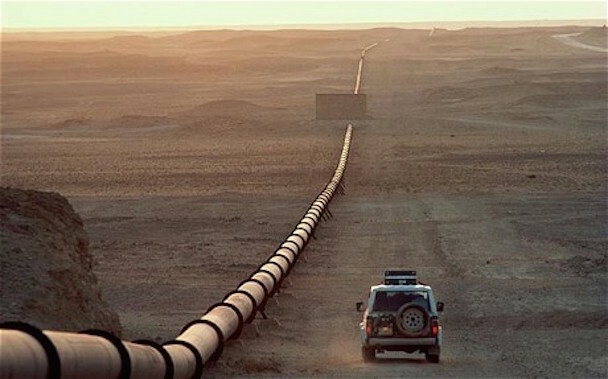 In addition to wanting to harm U.S. shale producers, some believe that the Saudis are determined to crush Iran. This next excerpt comes from a recent Daily Mail article… Above all, Saudi Arabia and its Gulf allies see Iran — a bitter religious and political opponent — as their main regional adversary. They know that Iran, dominated by the Shia Muslim sect, supports a resentful underclass of more than a million under-privileged and angry Shia people living in the gulf peninsula — a potential uprising waiting to happen against the Saudi regime. 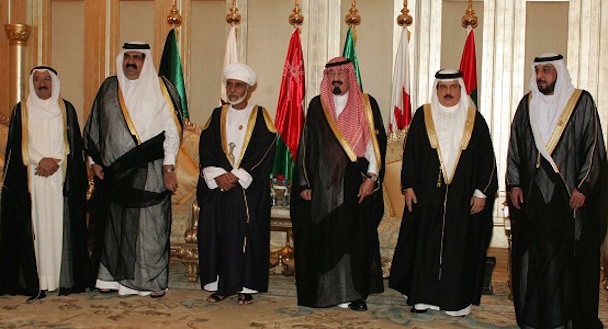 The Saudis, who are overwhelmingly Sunni Muslims, also loathe the way Iran supports President Assad’s regime in Syria — with which the Iranians have a religious affiliation. They also know that Iran, its economy plagued by corruption and crippled by Western sanctions, desperately needs the oil price to rise. And they have no intention of helping out. The fact is that the Saudis remain in a strong position because oil is cheap to produce there, and the country has such vast reserves. It can withstand a year — or three — of low oil prices. Without a doubt, Obama wants to “punish” Russia for what has been going on in Ukraine. Going after oil is one of the best ways to do that. And if the U.S. shale industry gets hurt in the process, that is a bonus for the radical environmentalists in Obama’s administration. There are yet others that see this oil war as being even more complicated. 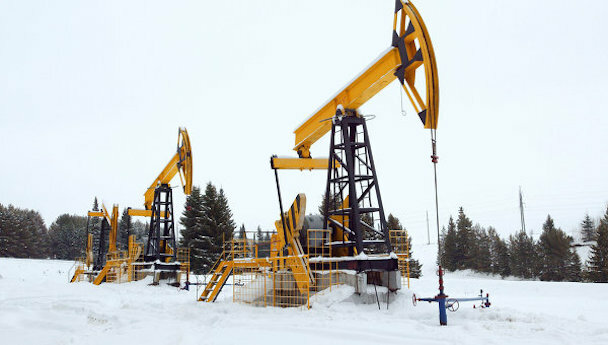 Marin Katusa believes that this is actually a three-way war between OPEC, Russia and the United States… “It’s a three-way oil war between OPEC, Russia and North American shale,” says Marin Katusa, author of “The Colder War,” and chief energy investment strategist at Casey Research. Katusa doesn’t see production slowing in 2015: “We know that OPEC will not be cutting back production. They’re going to increase it. Russia has increased production to all-time highs.” With Russia and OPEC refusing to give up market share how will the shale industry compete? Katusa thinks the longevity and staying power of the shale industry will keep it viable and profitable. “The versatility and the survivability of a lot of these shale producers will surprise people. 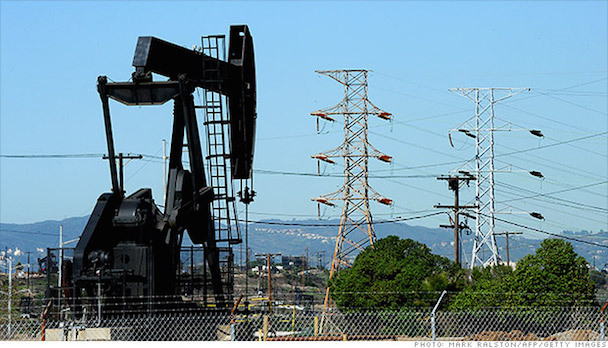 I don’t see that the shale sector is going to collapse over night,” he says. Shale sweet spots like North Dakota’s Bakken region and Texas’ Eagle Ford area will help keep production levels up and output steady. Whatever the true motivation for this oil war is, it does not appear that it is going to end any time soon. And so that means that the price of oil is going to go lower. How much lower? One analyst recently told CNN that we could see the price of oil dip into the $30s next year… Few saw the energy meltdown coming. Now that it’s here, industry analysts warn another move lower is possible as the momentum remains firmly to the downside. “If this doesn’t hold, we could go back to price levels in late 2008 and early 2009 — down in the $30s. There’s no reason why it couldn’t happen,” said Darin Newsom, senior analyst at Telvent DTN. Others are even more pessimistic. For instance, Jeremy Warner of the Sydney Morning Herald, who correctly predicted that the price of oil would fall below $80 this year, is now forecasting that the price of oil could fall all the way down to $20 next year… Revisiting the past year’s predictions is, for most columnists a frequently humbling experience. The howlers tend to far outweigh the successes. Yet, for a change, I can genuinely claim to have got my main call for markets – that oil would sink to $US80 a barrel or less – spot on, and for the right reasons, too. Just in case you think I’m making it up, this is what I said 12 months ago: “My big prediction is for $US80 oil, from which much of the rest of my outlook for the coming year flows. It’s hard to overstate the significance of a much lower oil price – Brent at, say, $US80 a barrel, or perhaps lower still – yet this is a surprisingly likely prospect, the implications of which have been largely missed by mainstream economic forecasters.” If on to a good thing, you might as well stick with it; so for the coming year, I’m doubling up on this forecast. 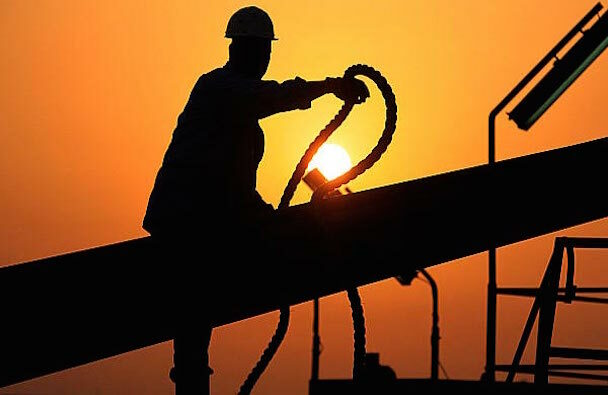 Far from bouncing back to the post crisis “normal” of something over $US100 a barrel, as many oil traders seem to expect, my view is that the oil price will remain low for a long time, sinking to perhaps as little as $US20 a barrel over the coming year before recovering a little. But even Warner’s chilling prediction is not the most bearish. 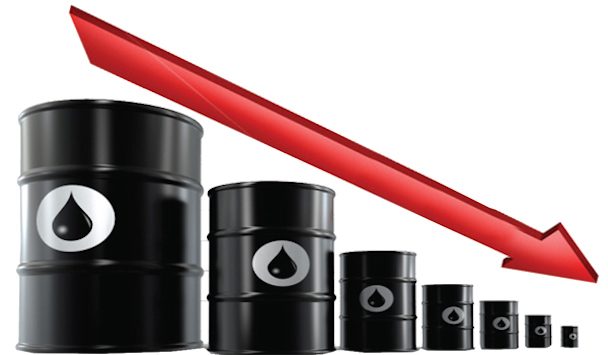 A technical analyst named Abigail Doolittle recently told CNBC that under a worst case scenario the price of oil could fall as low as $14 a barrel… No one really saw 2014’s dramatic plunge in oil price coming, so it’s probably fair to say that any predictions about where it’s going from here fall somewhere between educated guesses and picking a number out of a hat. In that light, it’s less than shocking to see one analyst making a case—albeit in a pure outlier sense—for a drop all the way below $14 a barrel. Abigail Doolittle, who does business under the name Peak Theories Research, posits that current chart trends point to the possibility that crude has three downside target areas where it could find support—$44, $35 and the nightmare scenario of, yes, $13.65. But the truth is that none of those scenarios need to happen in order for this oil war to absolutely devastate the U.S. economy and the U.S. financial system.